The writing's been on the wall for a new flagship installment in Capcom's Resident Evil franchise for some time now, and today, the publisher pulled the trigger on that announcement. Resident Evil 6 will be available for the Xbox 360, PlayStation 3, and PC on November 20. Resident Evil 6 will feature a split plotline, though bioterrorism remains the motif. In the US, Leon S. Kennedy joins the president of the United States 10 years after the events that defined Raccoon City, ostensibly to offer the truth on what actually happened there. However, in the midst of this revelation, bioterrorists attack, converting the president into a lurching undead. On the other side of the world, Bioterrorism Security Assessment Alliance member Chris Redfield touches down in China, which is in the midst of its own bioterrorism outbreak. 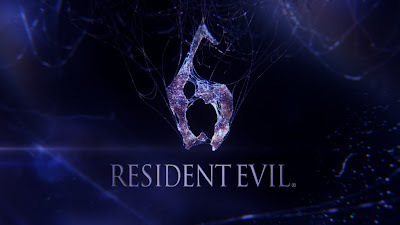 Resident Evil 6 will be the first installment in the franchise to feature both Redfield and Kennedy, and Capcom noted that new characters will also be introduced in the game. Development on Resident Evil 6 is being led by Hiroyuki Kobayashi. The developer has previously received producer credits for a number of Capcom's titles, including Resident Evil 4, Killer7, and Dragon's Dogma. Prior to today's announcement, Capcom had posted to a countdown teaser site for the game, NoHopeLeft.com. That site now directs to a YouTube page featuring Resident Evil 6's first trailer, which can be found below.